It’s great to see a new book on an amazing, one of my absolute favorite technique in such unexpected-delightful way! Heather Zoppetti has crafted a fresh, modern, flattering collection of 18 knitted garments. She perfectly captures the essence of the iconic knitted cable and makes cabled designs decidedly fashion-forward! The book features 3 chapters: Refined, Lace, and Abstract. Sleek garment shapes, an interesting mix of cables and lace, and unusual construction converge to bring the generations-old tradition of cable knitting squarely into the here and now. Knitters will delight in making these intriguing, accessible creations! Since there are many projects I would love to make, I am planning on a few gifts done by this holiday season. And now, I would love you to meet Heather Zoppetti. Thank you so much Heather for such interesting interview! How and when did you learn to knit and who taught you? I learned to knit out of a book. In college, my roomate decided to learn to crochet, and I chose to learn knitting. We sat down with our “Can’t believe I’m…” booklets, aluminum tools, and acrylic yarns and got started! What makes you most excited about knitting? The thing I love most about knitting is its endless possibility. There is always something new to learn. Whether that’s a new technique or just a new way to hold your yarn. The learning and exploring never stop, and I love that. Additionally, I love passing on my love of knitting to others. So, I’ve become a knitting teacher. I want others to feel my passion for knitting, and hope that taking one of my classes inspires others to go out and learn even more. What is the most important thing that you would like readers to know about Unexpected Cables? 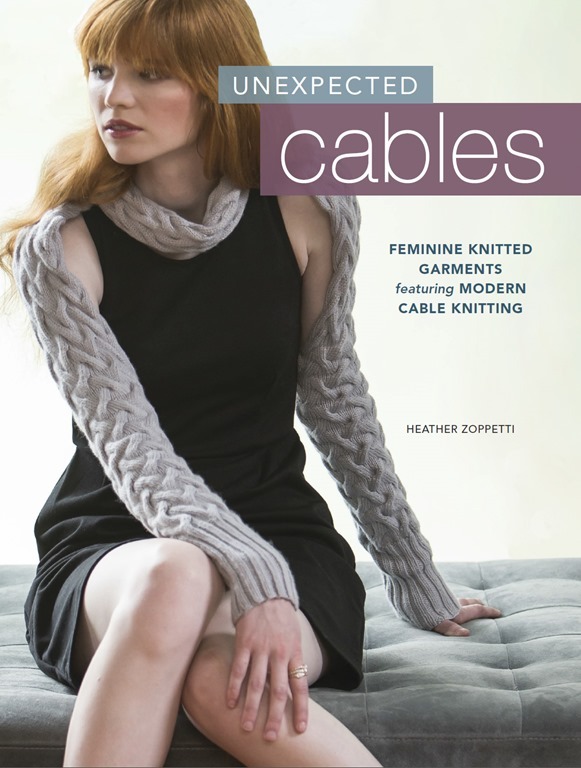 I want readers to know that cables are deceptively easy and not to let them intimidate you. In the end a cable is simply a reordering of stitches, then you knit or purl them, just like normal. There’s nothing more to it than that. It really is magic, and you can do it. Would you recommend the book to beginning knitters, or more experienced knitters? How many of the patterns, if any, are suitable for beginners? I would recommend the book to advanced beginners. 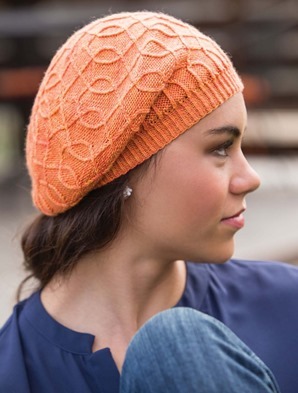 Meaning, folks who are comfortable with knits, purls, and various increases and decreases. If you’ve never cabled before, perhaps have someone show you the basics. But really, you can handle it. Again, reorder the stitches, then work them as normal. Refton Cloche is a great project for beginners. It doesn’t have a chart, and it’s a small, simple hat. Knitters can focus on the cable and not have to worry about anything else. Your designs are feminine and unique. Can you tell us a bit about your creative process? Where do you find inspiration? Inspiration comes from everywhere. Sometimes something as little as a color or shape can spark an idea for me. Usually my designs begin with a silhouette and a drawing. From there I decide what kind of elements I want to add and go searching for the specific stitch patterns. Then swatching and playing with yarn come next. What tips and advice would you give to brand new knitters? Try everything and don’t let anyone tell you that anything is too hard. Have faith in your self and your knitting abilities. At the end of the day, we are all just winding yarn around some sticks. When you are not knitting, where can we find you? What are some of your other passions and interests? Is there anything you wished I asked you and I didn’t? 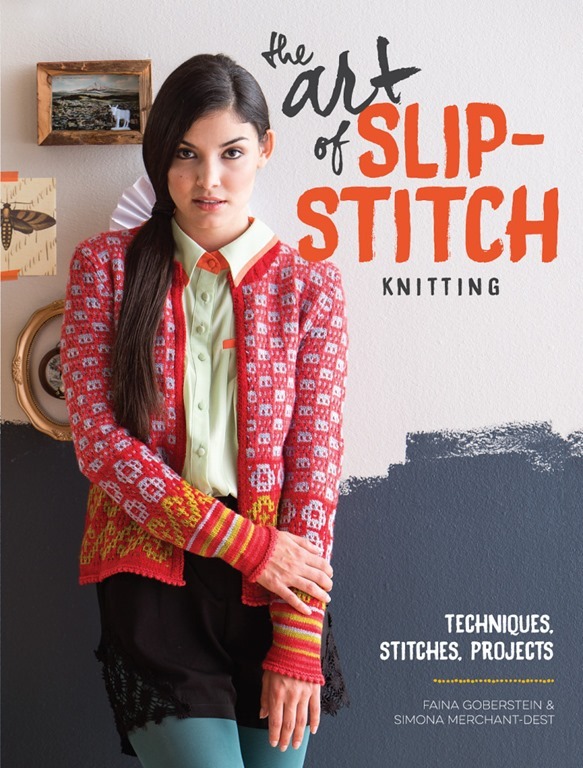 The Art of Slip-Stitch Knitting | Book Blog Tour, Review + Giveaway! Welcome to my stop on the Faina Goberstein and Simona Merchant-Dest blog tour for The Art of Slip Stitch Knitting. The blog tour kicked off September 16th and runs through November 21th. I’m thrilled to be a part of this tour and cannot tell you how I am excited for Faina and Simona! This, very well and absolutely beautifully designed by Interweave book, has it all and covers all the basics of slip-stitch knitting, including stitch formation, reading charts, customizing stitch patterns, choosing yarns, designing with slip-stitch patterns, and more. In addition to 40 slip-stitch patterns, there are 16 lovely and easy-to-make projects not only beautifully done, but also amazingly eye opening and such inspirational. Book starts with chapter All About Slip-Stitch Knitting—different ways of slipping stitches and what you do with the working yarn when you slip. And there’s information on horizontal, vertical, and diagonal slipping. Pretty much everything you could possibly need to know about slip-stitch knitting. And all following chapters cover different group of slip-stich patterns and begin with a dictionary of stitches followed by 4 patterns using this type of stitch. You can choose between written instructions or a chart to knit each stitch pattern. Second chapter is Traditional Slip-Stitch Patterns contains simple color work and lovely patterns. My favorites are reengineering with color Svítání Pullover and Kromka Hoodie. Third chapter (which totally blew me away!) features set of Woven slip stitches and again has a number of different stitch patterns and then some projects. I fell in love with the Gobelen bag, which I not only want to make for myself, but I was already asked by a friend to make one for her. Made by using diagonal woven weaves slip-stitch pattern, this bag (as well as Volna scarf and Spiral hat) are simply gorgeous! In the 4th chapter, Fancy Slip-Stitch, my favorites project is Nero Pullover. The sweater is worked in a classic top-down raglan construction with a carefully placed slip-stitch cable panel at center front and a slipped checks pattern on sleeves. It’s nicely fitted and is worked in a sport weight yarn. And last chapter is Reversible Slip-Stitch. I love Fialka boot toppers, which look like made in pretty complicated “Fair Isle” technique, but there are worked in a pretty simple slip-stitch pattern that plays with the placement of stitches, how floats are carried, and colors are changed. It’s super easy to customize for your favorite color, too. In the end of the book you will find a lot of useful information, including abbreviations and an illustrated glossary of techniques. You can take a look at all 16 patterns on Ravelry. Did you paid attention to the names of projects in the book?! “For the projects in this book, we chose Czech and Russian (our native languages) names that describe our inspiration for the design, color, construction elements, or other aspects of the designs.”, – Faina and Simona explains. I love this idea!! This is truly great and very unique book. Not only because this book have 16 fresh and pure eye-candy patterns but I never saw such fantastic and interesting stitch dictionary with endless possibilities of using slip-stitches in new fresh and modern way. Especially I was amazed with the section on reengineering the stitch patterns and how one simple change, whether it is adding of a third color or changing of the location of your floats, results in a dramatic, enchanting change. And last, but not least… we have a GIVEAWAY for you! One lucky in the world will receive a copy of this gorgeous book. U.S.-based with a valid street address (vs. P.O. Box address) will receive a paperback copy. Otherwise all others are eligible for a PDF copy of the book. Simply leave a comment on this blog post and let us know which design from The Art of Slip-Stitch Knitting you like the most! This giveaway starts today, October 9th and will end Sunday, October 18th 2015 at 11:59pm PST. The winner will be selected with random.org’s random number generator and notified by email on Monday, October 19th. Happy Friday and terrific weekend everyone! By Faina Goberstein and Simona Merchant-Dest!! I adore and follow Faina and Simona since I saw their work and met Faina in person, and they never stopped amaze me since than. Slip stitch is one of the simplest and most versatile knitting techniques, but it’s often overlooked. 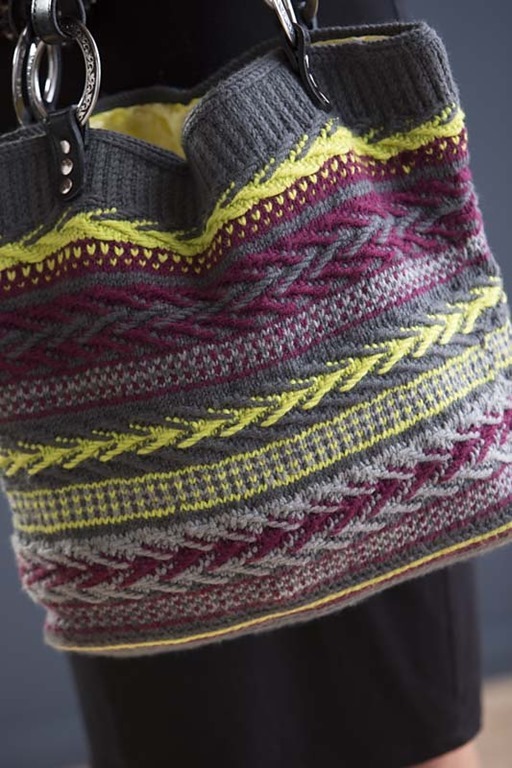 The Art of Slip-Stitch Knitting is a modern and thorough take on a technique that delivers beautiful colorwork and gorgeous textures—with minimal effort. Inspire your knitting and wardrobe with over 16 knitting projects. My stop on blog tour is on Friday, Octocber 9th. I will post a book review, and host a giveaway. See you then! I just started to work on some pattern updates, and so far Hugs of Love & Tutti Frutti Blankets Pattern (yes, it’s one pattern for 2 blankets) and Fluffy Clouds Blanket are updated. Silverlace Blanket & Tropicale Cover Pattern and Petaline Dress & Poncho Pattern will be finished late today. PLEASE NOTE: Many Thanks to Ravelry, it was s easy to sent notifications about the patterns updates to everyone. 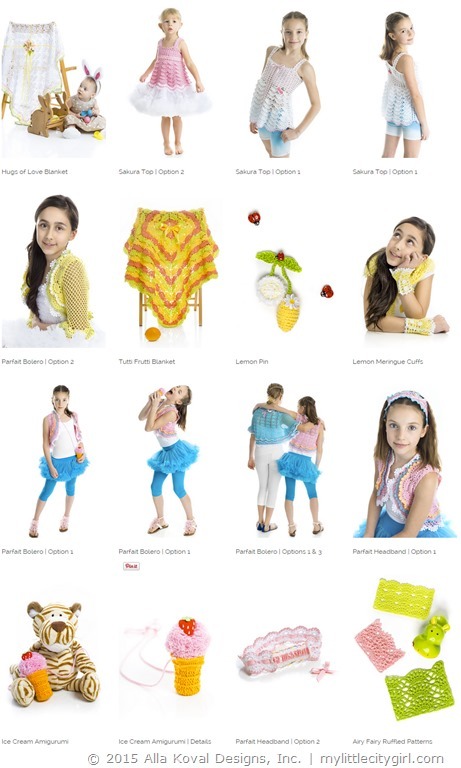 But, unfortunately, I have no chance to send updated patterns to buyers, who purchased patterns in other places. If you bought any of these patterns, please email me at allakoval@gmail.com and I’ll gladly send you updated versions right away. A lovely and happy Monday everyone! What an exciting news! Imagical Seasons Books Blog Tour has couple more stops and giveaways scheduled! 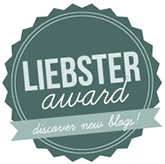 Many thanks to Libby Butler-Gluck, for doing such a great job with this my very first blog tour! I appreciate a joy of working with you, Libby! I’m very proud and honored to have the designers on board who have agreed to take their time to post about the books and hosting giveaways! Once again, my sincere thanks and deepest appreciation to you, wonderful and beyond talented Amy Solovay, Faina Goberstein, Gwen Blakely Kinsler, Kathryn Vercillo, Kara Gunza, Simona Merchant-Dest, Sarah E. White, MaryJane Hall, Vendula Maderska and Jocelyn Sass for participation, awesome reviews and such valuable input in my book’s blog tour!! I very appreciate it!! I am absolutely thrilled to let you know that today’s stop on the book blog tour is at Underground Crafter! 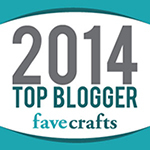 Marie is fabulous crochet and knitting blogger, designer, and teacher behind Underground Crafter. Marie’s patterns have been published by Crochetvolution, Crochet World, Entwine, Galler Yarns, I Like Crochet, I Like Knitting, Inside Crochet, KnitCircus, Kollabora, Love of Crochet, Love of Knitting, Pom Pom Quarterly, and the Quick & Simple Crochet booklet series. Self-published free patterns are available here, and you can find the rest of her patterns on Marie’s Ravelry designer page. She teaches crochet and knitting at several adult education venues in the New York City metro area and at regional fiber events. Marie’s blog features free crochet patterns, crochet and knitting book and product reviews, interviews with needle arts industry pros, giveaways, and more. In August, 2014, she launched the Creative Yarn Entrepreneur Show, a weekly podcast for indie business owners in the yarn industry. Thank you for doing the interview with me on the book, Marie! Everyone has different types of questions to ask and I like that. I very appreciate you being part of the blog tour!! 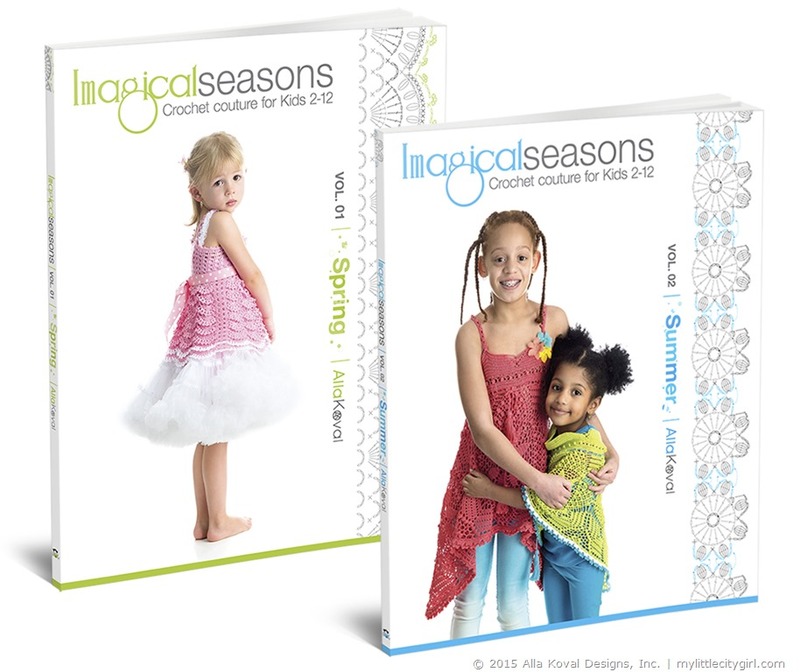 To connect with Marie and have a chance to win a copy of Imagical Seasons: Spring, Vol. 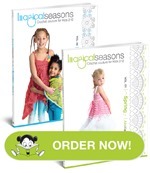 01; Crochet Couture for Kids 2-12 and Imagical Seasons: Summer, Vol. 02; Crochet Couture for Kids 2-12 , in her giveaway, please go to Marie’s blog HERE. Thank you for stopping by and good luck! 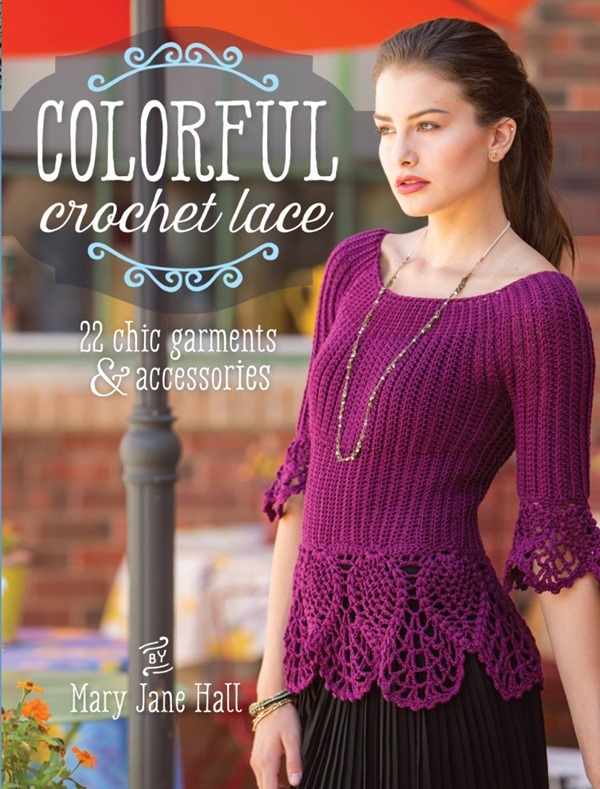 Colorful Crochet Lace by MaryJane Hall | Blog tour, Interview, Giveaway + More! I love Mondays! And it is a very special one because I am honoring MaryJane Hall on the release of her new Colorful Crochet Lace book! I cannot tell you how excited I am for MaryJane and how I am thrilled to be a part of this blog tour! I am posting an interview (see below) I did with MaryJane to feature her on this very special and emotional day for her, sharing my experience making the Juliette scarf, hosting giveaway and showing photos of the designs included in the book. 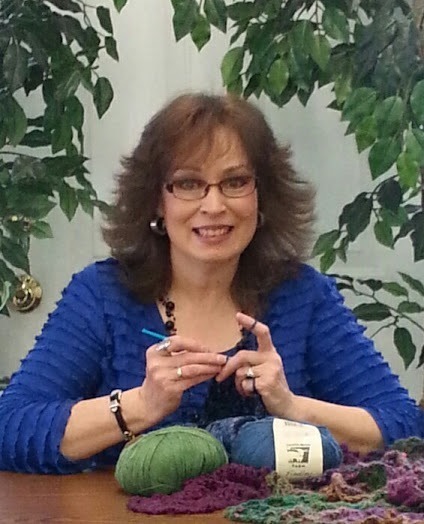 MaryJane Hall is a crochet designer and bestselling author of Positively Crochet! and Crochet That Fits, which was voted “Best Crochet Pattern Book of 2008” by Crochet Liberation Front. She is a mentor with the CGOA and speaks at various crochet gatherings and fashion shows. 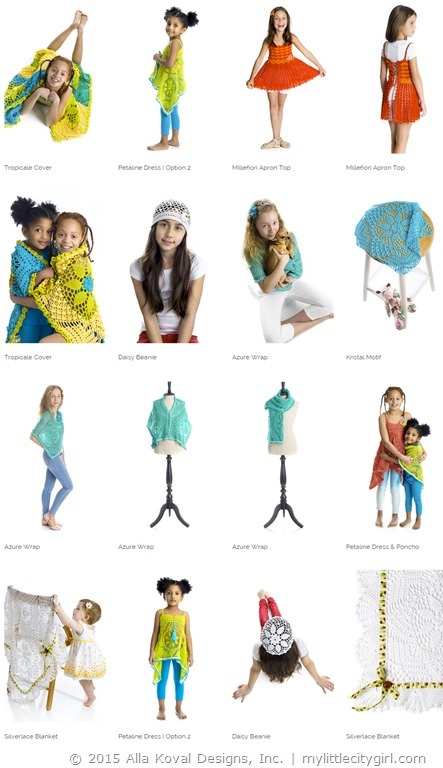 MaryJane has designed for popular magazines, including Interweave Crochet, Vogue Knitting Crochet, and Fifth Avenue Fashion Magazine and has appeared on the TV show Knit & Crochet Now. 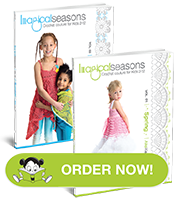 Available at Amazon and Interweave stores. 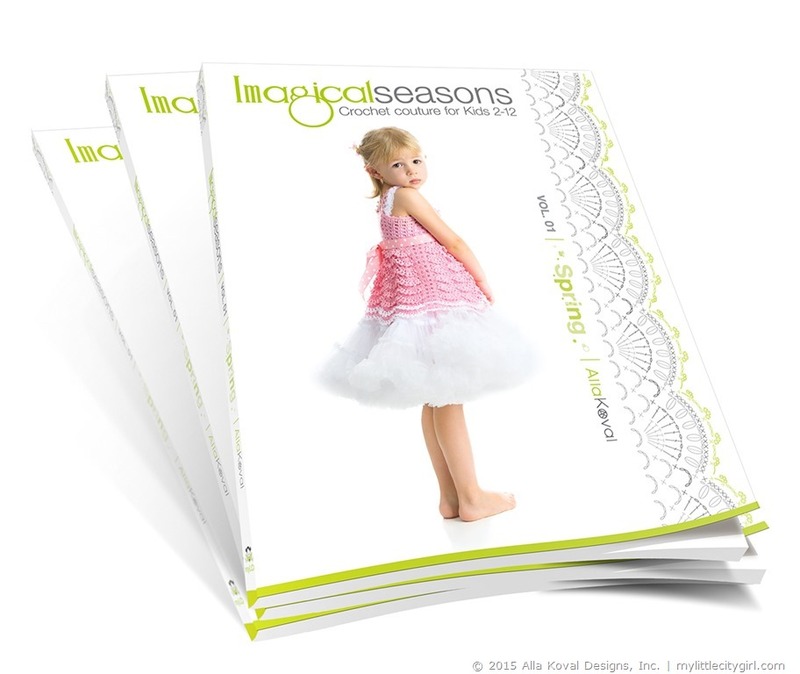 This, very well and beautifully designed by Interweave book, includes 22 stunning and trendy lace garments and accessories presented in Ooh Là Là and chic Parisian theme. You will be pleasant to find fantastic designs for scarfs, tunics, tops, cardigans, shrugs, t-shirts and totes! The designs are worked in a variety of yarn weights and color range from elegant jewel tones to earthy neutrals. But sure these such versatile and trendy designs can be made in any colors by your choice! With clear and detailed instructions and stitch diagrams, and gorgeous photography, Colorful Crochet Lace makes it easy and fun to create exquisite crochet fashions. Some projects are constructed using the Graduated Stitch Method, a technique MaryJane developed that allows for shaping and customized fit without increases or decreases, and many of the patterns include instructions for modifying designs and creating variations. Below are some projects from the book, isn’t they are simple gorgeous! To find all designs included in the book, please check this link. Your designs are beautiful, entrancing and unique. What inspires you? I have always been the kind of person who wants to go the extra mile and work “outside the box”, but at the same time I really do want to produce wearable patterns that will appeal to a variety of people. When I’m working on a sketch I’m thinking “Is this something I would wear” or better yet “Is this something my fashionista daughter would wear?” So I guess you could say I want to create patterns I think would be in demand and that’s what drives me! When did you start crocheting and who taught you? I taught myself to crochet from a book when I was 18 and I’m normally the kind of person who wants to be “shown” how to do things. This makes me know anyone who wants to learn to crochet can do it and they don’t need to be intimidated. I always say if they can learn how to hold the hook and yarn, they can make anything! And it’s really true. How long have you been designing? What got you interested in crochet? I’ve been crocheting 40+ years and got interested back in the early 70’s when crochet was all the rage. Then when crochet came back on the scene in 2004 after a 30 year silence, I started designing. How did you become interested in actual designing in crochet? Since there was a huge surge in crochet that year, of course I jumped on the bandwagon and started designing because I knew several people who wanted to learn to crochet the stylish ponchos that were in the stores. I couldn’t find updated patterns so I started designing ponchos to help the girls in my crochet class. The rest is history! I love your style; where does your style come from? I really like feminine styles – just anything girly, well kind of like your girly designs Alla! I think we are kindred spirits because I love everything you have ever designed! Love the lace, ruffles, fitted designs. And if I see a shape or style in a magazine or on the runway that I’m crazy about, I’m determined and motivated to see if I can come up with something in crochet. It’s a challenge for me and I love it! What have you learned during your designing years? How did your style or techniques change? I began designing small things such as hats, purses, slippers, belts, scarves and ponchos which we all pretty easy. I like quick projects and in fact would love to do a book on quick gifts someday. But when I started working on Positively Crochet with 50 patterns, I wanted to have more variety which is something I thought would sell. In other words, something for everyone, and that’s when I got into larger projects such as sweaters and skirts. What have I learned? I’ve learned that sometimes the things you think will be the most simple to make, turn out to be the hardest and some I thought will be difficult to design, turned out to be much easier than I thought. I’m always pushing myself and there’s probably not anything I wouldn’t try to design. I’m pretty driven. What tips and advice would you give to brand new crocheters? 1. I would tell them to be patient, don’t give up, and ask for help if you need to. 2. If you are working from a pattern that doesn’t make sense to you and you think there may be an error but can’t find any corrections on the web, then just do what looks right! If I had been given that advice way back when I started crocheting, I would have prevented a lot of stress over the years. I never even considered that patterns could have an error. I always thought it was just me! 3. Another bit of advice for beginners is when they want to make a pattern, I think it is best if they do not read ahead! You might wonder why I would say that. There was a girl who wrote me saying there were errors in a pattern, but she also had questions on other parts she just didn’t understand. There did end up being a couple of minor errors (corrected on my blog), but we spent days writing back and forth while I was trying to explain some things she didn’t understand. I later found out she had read ahead in the pattern and even though she’d asked me those questions, when she actually started crocheting the top, she did understand it on her own. Then I told her I would not recommend reading ahead because even I, a very experienced crocheter, get confused on a pattern if I start reading ahead. It makes much more sense when you start working it, step by step. When you are not crocheting, where can we find you? What are some of your other passions and interests? You’d find me in the kitchen a lot! I love to cook and come up with new dishes. In fact I have a collection of over 300 cookbooks and I have just as many food boards on Pinterest as I have boards on crochet. I like to entertain and host dinners for family and friends. You could also find me browsing thrift stores, flea markets and antique shops. I find lots of treasures at thrift stores and Dayton is known for having some of the best in the country. And people would be surprised to know that I am addicted to the History channel. I love to watch shows like “America Unearthed” and shows about “Lost “Civilizations”. I also play the guitar and sang professionally for many years at fairs, festivals and other events, but stopped when I started designing. I do have a CD of some of the songs in my repertoire. Is there anything you wished I asked you and I didn’t? Please feel free to add anything! I was born in Texas and lived in Oklahoma, the Philippines, Tennessee, Mississippi, Alabama and graduated from HS in Natchitoches, La, the town where the movie Steel Magnolias was filmed. My husband, whom I met in college was from Ohio, so that’s how I ended up here. I’ve been to 8 other countries and across the Pacific Ocean twice but havent had a chance to go to Paris and Italy (where my ancestors are from). My love of anything Parisian is why I wanted to do the book in that theme with sidewalk cafes and gardens. Thank you so much MaryJane for such interesting interview! Wow, over 300 cookbooks?! I am totally impressed! … Oh and you made me blushing with your answer on one of interview questions ;o) Thank you so much MaryJane! I wish I would have a half of your talent! I love so many projects from Colorful Crochet Lace book, and will definitely make more of them, and must to admit that I immediately fell in love with Juliette Scarf! Made with one of my favorite Silk Bamboo yarn by Patons, this pattern is very easy to follow and includes pretty detail stitch diagram (my favorite part!). 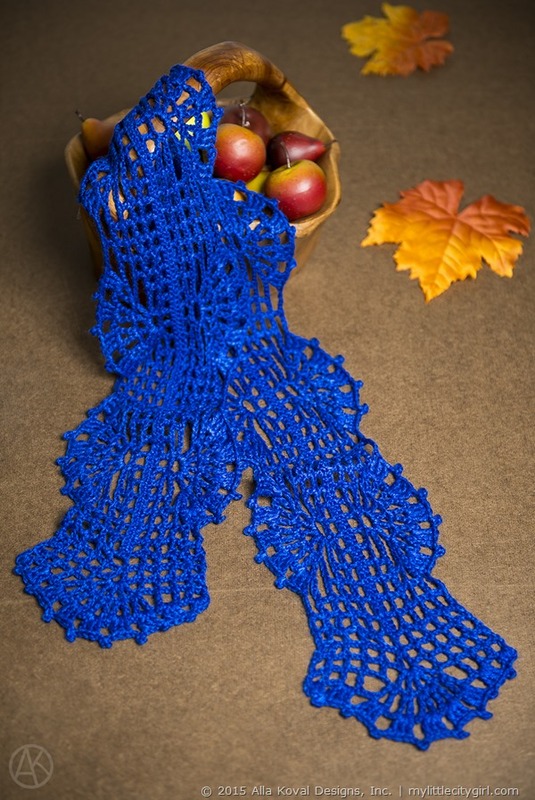 To show you how versatile and differently this gorgeous design may looks, I made the scarf in royal blue color and “turned” it into a autumn theme. I am so glad with result and will keep it for myself for sure! Simply leave a comment on this blog post and let us know which is your favorite design. This giveaway starts today, August 10th and will end Monday, August 17 2015 at 11:59pm PST. 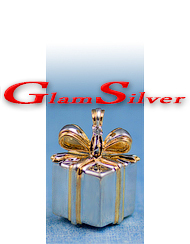 The winner will be selected with random.org’s random number generator and notified by email on Tuesday, August, 18th. My Little City Girl – Alla Koval (she’ll show the Juliette Scarf she made , interview, and review 8/10). Alla made a project which she will share. A wonderful and happy Monday everyone!! Imagical Seasons | Book Blog Tour begun!! I am so excited to let you know that my-very-first blog tour for my-very-first two books begun! We worked so hard to prepare this event, and I am very happy to see it started! Wonder what is a blog tour? A blog tour is a virtual tour to help an author to promote his book without traveling. It’s the same concept as going to one physical store on Monday and then to second score in different city on Tuesday and then fly to Europe to run third event on Wednesday and so on but instead of physical places, the author is going from blog to blog during the time frame of the tour. My sincere thanks and deepest appreciation to all wonderful and beyond talented Amy Solovay, Faina Goberstein, Gwen Blakely Kinsler, Kathryn Vercillo, Kara Gunza, Simona Merchant-Dest, Sarah E. White, MaryJane Hall, Vendula Maderska and dear Jocelyn Sass for participation in the blog tour!! Some people think of “13” as a bad number, but I do believe in opposite as everything “13th” was good for me and I always thought of it as my lucky number, so I hope it will be lucky number for my books too!